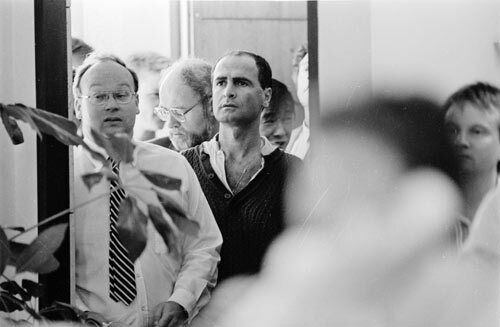 Onlookers watch trading at the Wellington Stock Exchange during the 1987 stock market crash. After a period of sustained growth, the Wall Street market in New York dropped sharply in October 1987. The ripples felt like a tsunami in New Zealand. Investors had flooded the share market after the deregulation of the financial markets in 1984 and huge fortunes were made. But the lack of regulation meant some companies over-extended themselves. With the crash, many went bust. Small ‘mum and dad’ investors deserted the share market, which languished until the early 2000s.